RupeeBoss Financial Services Pvt Ltd. is already known for its achievement and success in the finance sector. In the financial year 2017–2018, it has successfully disbursed a total amount of 25 billion. Now, the organization is taking one step further towards the Digital Revolution. This will make the loan process timely and seamless for the people. In our society, the majority of people fear from the loan process because of its numerous document submission, long queues, unqualified brokers and many more difficulties. But, with the Advent of the internet, the loan process has become more convenient and hassle-free for the people. Because of the easy access to the internet, people get their loan approved without heading down to the banks. There are innumerable financial web portals that offer a wide range of loans. RupeeBoss has decided to go a step further and make the loan procedure effortless. 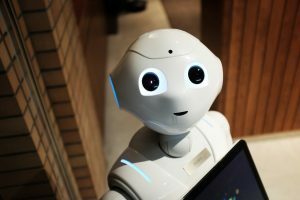 In the near future, artificial intelligence would conquer every industry. In recent times, it has helped to shape many companies. Big organizations like Google, Facebook, Microsoft, and others are investing a lot in AI research. We have sought to utilize the advanced technologies to make the loan affair easier for the customers. RupeeBoss is coming with a brilliant AI product called “The Loan Genie”- Solution for all your loan queries. A video calling bot, which will help the customers get answers to their queries through their smartphones. In the coming days, people will be just a video call away to get all the details about the required loan. The role of Loan Genie has been played by highly talented Ms.Nimika Ratnakar. In the year 2017, she represented India at Miss Super Talent World platform in Seoul. Nimika is a professional model, actress, and a singer. RupeeBoss product team has ensured that the Loan Genie has in-depth knowledge of all type of loans. The virtual Loan Genie interacts with the customers and helps them with their queries along with the application of loans. 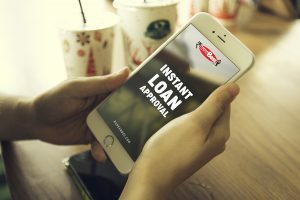 Banks are eying such broader excitement about virtual assistants in the banking business and that’s the reason one of the leading banks of India is sponsoring Loan Genie. The concept has been owned and developed by a leading Infocomm company of India. The video bot will be launching soon to make the customer’s life easier and hassle-free.